As a Church and Community Worker commissioned as a missionary by the General Board of Global Ministries, I work with Interfaith Arkansas and the Interfaith Arkansas Alliance. I am also an ordained elder of the Arkansas Conference of The United Methodist Church. The original predecessor of Interfaith Arkansas, the Arkansas Council of Churches, was founded in the 1950s, growing out of the 1957 Little Rock crisis over school integration. At that time, a municipal ordinance kept white and black pastors from even meeting together. By 2013, when the council also included members of Reform Judaism, Muslim, and Baha’i traditions, its name was changed to Interfaith Arkansas. Today, the agency has two major components: Unity and Relationships and Mission and Service. Unity and Relationships participates in dialogue with evangelicals, study groups for interfaith leaders, an adult interfaith choir, and a summer choir camp for youth. Mission and Service provides spiritual care during a disaster and supports “Bridges Out of Poverty,” an “Adopt a Prison” program, and a food pantry that primarily serves immigrants. The work of the Arkansas Interfaith Alliance began in the 1990s and was reinvigorated in 2004. It represents the faith community at both federal and state government levels. Our advocacy includes economic justice, alleviating hunger, international relations, immigration, and the environment. My understanding of mission is that it belongs to God. With the stirring of the Holy Spirit within us, we join God in mission and work to achieve the world of peace and justice that God envisions. We seek to create an environment of understanding among faith traditions. This understanding is what undergirds the work of Interfaith Arkansas and the Arkansas Interfaith Alliance. It is exciting to see where God is already at work and to realize the ways we can join in. The Old and New Testaments contain more than 2,000 passages in which God shows concern for the poor as a matter of justice. In my work with the Interfaith Alliance, I chaired the “Give Arkansas a Raise Now” coalition, which put an initiative on the ballot to raise the state’s hourly minimum wage. Our initiative passed with 64 percent of the vote, so the state minimum wage will rise over a three-year period. On January 1, 2015, it rose by $1.25 per hour, making it slightly higher than the federal minimum wage. By January 1, 2017, the hourly wage will rise by another dollar. That means an annual salary rise from $13,000 to $17,680 for minimum wage earners. These increases in the minimum wage are small but necessary steps in moving people out of poverty. It is vital that we learn how to maintain our Christian faith while understanding another person’s faith position and affirming its worth. 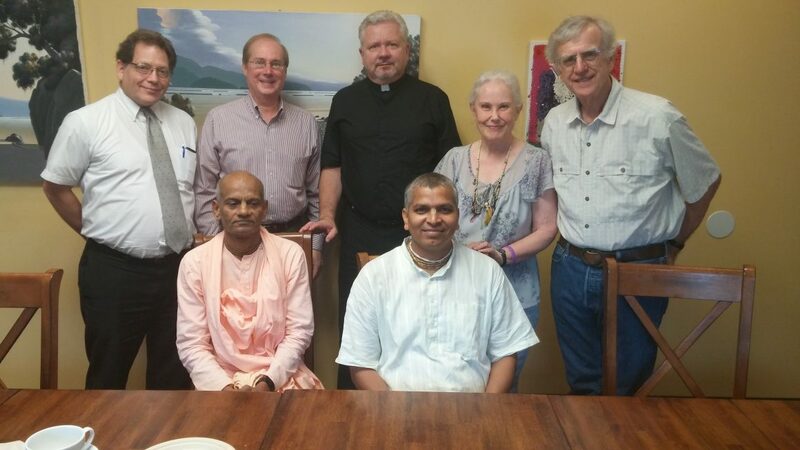 One way Interfaith Arkansas facilitates understanding is through an interfaith study group for faith leaders from various traditions. Topics of discussion vary, from creation stories in the different faith traditions to perspectives on the Christmas holiday. Interfaith Arkansas also supports a program called Youth Link, which encourages interfaith dialogue through recreation. Youth Link brings together more than 100 elementary and high school young people of different faiths to play team games, such as kickball or water balloon chase. Through play, these kids form friendships that can open doors to discussions about faith. I’ve felt the presence of God’s love when I see the smiles on the children’s faces. It gives me hope that, perhaps one day, we might better understand one another’s religious perspectives. In Matthew 25, Jesus calls us to visit prisoners. Interfaith Arkansas has developed an “Adopt a Prison” program. Ms. Anna Cox, a Buddhist and a Certified Religious Advisor in the Arkansas Department of Corrections, leads the team and oversees this work. The program invites members from our faith communities to adopt a state prison. This could mean simply sending cards to prisoners on holidays or birthdays, or it could mean visiting inmates within the prisons. An emphasis by the state on former prisoners’ re-entry into civil society and the role that faith communities can play in that re-entry led Interfaith Arkansas to serve on our Governor’s Summit on Re-Entry and Foster Care in August 2015. More than 500 participants from across Arkansas looked at ways that faith communities can assist with re-entry. We are also working with the head chaplain of the Arkansas Department of Corrections to set up meetings with representatives of faith communities in various parts of the state—the goal being to find ways to create a culture of hospitality for those reentering society after imprisonment. In all the work of Interfaith Arkansas and the Arkansas Interfaith Alliance, I see daily the love of God toward strangers, prisoners, and those who hunger or thirst. I see clearly a God of hospitality who welcomes all and calls us to do the same. This kind of hospitality requires us first to understand the other, which can develop into a deep sense of neighborly love. I see this deepening of understanding in different faith traditions as they join together; and I see it as we reach out to immigrants and prisoners or to people who are poor or unemployed. I see a growing sense of the need to seek and speak for justice in the world. Our job is to have the strength and courage to follow where God is leading us. To do so is the heart of mission. By Stephen J. Copley. The Rev. Stephen J. Copley is a Church and Community Worker serving as executive director of Interfaith Arkansas, based in Little Rock. This article was originally published in the January-February 2016 issue of New World Outlook magazine. Used by permission.